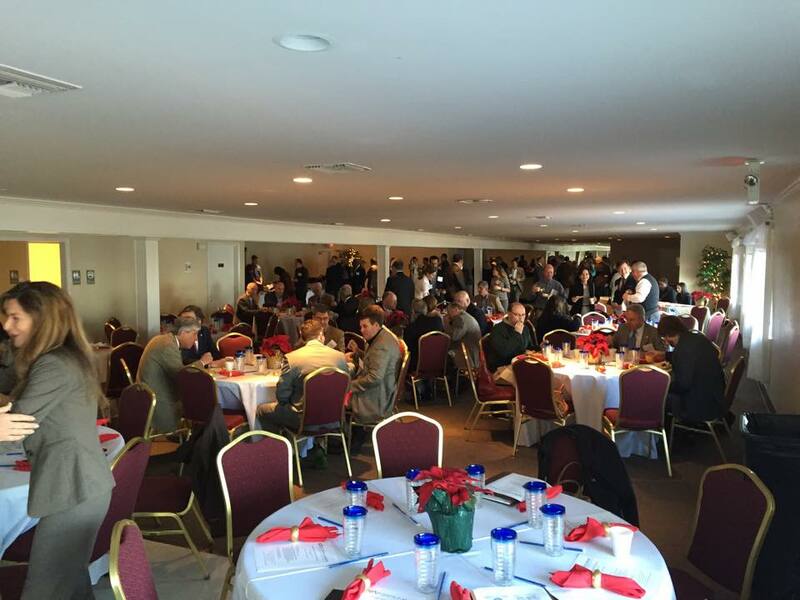 On Thursday, December 18th, CAP hosted its first annual meeting for the organization’s stakeholders and supporters. 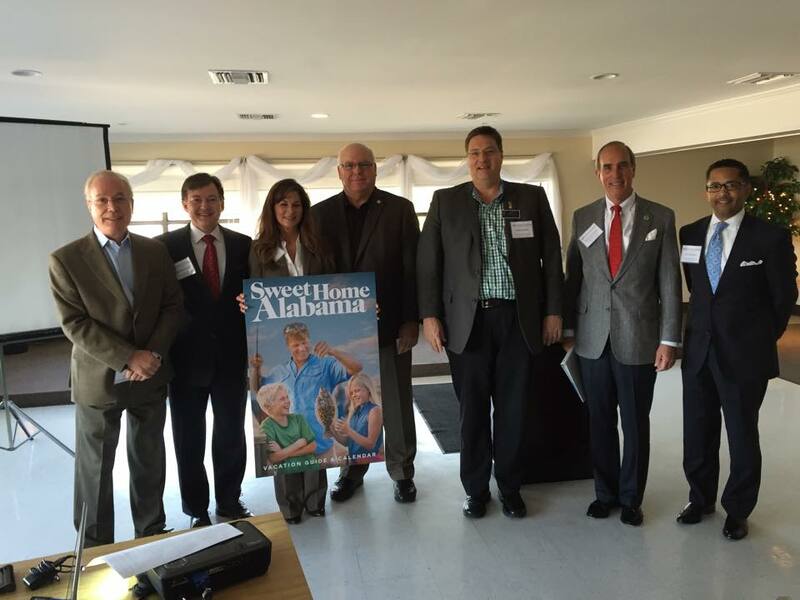 The breakfast meeting was held at 8:00 a.m. at the Bayfront Park Pavilion in Daphne, Alabama. The focus of the meeting was to celebrate CAP’s efforts working regionally to enhance Mobile and Baldwin counties, as well as thank all those who have supported the organization from the beginning. 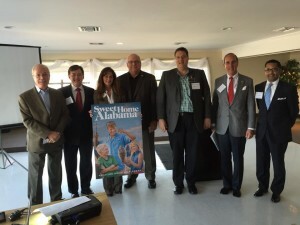 Prominent members of the coastal Alabama community were in attendance, including Senator Bill Hightower, Representative Randy Davis, and Representative Steve McMillan. 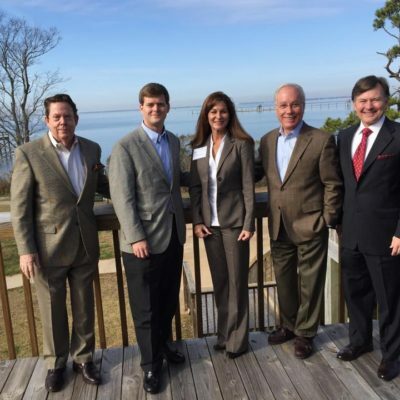 Members of the CAP Board of Directors, along with members of CAP’s Founding Entities Council (FEC), updated stakeholders on the organization’s activities benefiting coastal Alabama. The speakers focused on CAP’s “Firsts for the Region”, including coordinating an elected officials’ trip to Washington D.C. and the creation of a regional tourism website. Sheila Hodges, CAP Board chairman, provided a brief history of the organization, highlighting CAP’s inception from the Coastal Recovery Commission and Governor Bob Riley in 2012. 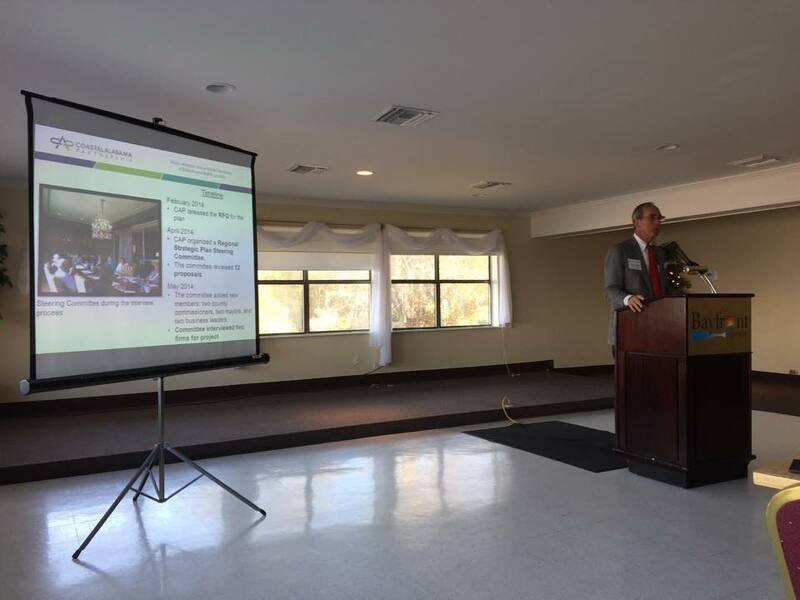 Mayor Sandy Stimpson, CAP Board Vice Chairman, updated stakeholders on the progress of CAP’s regional strategic planning effort and officially announced Goodwyn, Mills, and Cawood, Inc. (GMC) as the lead firm on the project. The planning process thus far includes releasing a Request for Proposals in February 2014, reviewing submissions in April 2014, and interviewing two finalist firms in May 2014. “We are now teed up to do something that has never been done in this region before and that is to develop this plan” said Mayor Stimpson. GMC intends to begin work on the plan in early spring 2015 and to complete the project in six to eight months. CAP would like to thank everyone who attended our inaugural annual meeting. We look forward to working with you in the New Year as we continue to collaborate towards a prosperous and sustainable future for our region.